Exports of New Zealand wines to the US have overtaken those of Australia in terms of value for the first time, according to Rabobank’s 2017 Q2 Wine Quarterly Report, which highlighted the growing importance of the US market. In 2016, the value of New Zealand imports into the US totaled US$400million, having steadily increase over the past five years, as US imports shift toward more premium offerings. In comparison, the value of Australian wine imports into the US has been on a steady decline since 2012, dropping to around $350m in 2016, placing the value of NZ imports into the US ahead of Australia for the first time. In 2016, the value of imports from New Zealand to the US grew by 11% to reach $US399.8million ($NZ570million) while imports of Australian wine fell by 9% to $US351.7million, Rabobank’s latest Wine Quarterly report said. By volume, imports of Australian wine decreased by 11% to 16.7m cases, while imports from New Zealand rose by 14% to 7.3m cases. “The trends for each country couldn’t be more different, and while the US still imports more than twice the volume of Australian wine, New Zealand wine on average commands over two-and- a-half times the price of Australian wine at the border”, it read. Globally, total export volumes of New Zealand wine increased by 10% to 232.1ML in 2016, and in value by 5% to $NZ1.6billion. In comparison, Australian wine exports saw their value increase by 7.2% to AUD 2.2 billion, with volumes up a steady 0.8% to 750m litres. Of that total, bottled wine exports rose by 4% in volume, and 10% in value, led in particular by stronger demand for more premium bottled red wines in the Chinese market. Overall, US wine imports rose 1% in volume and 3% in value in 2016, with imported wines maintaining their market share at 33% of total US wine consumption. “[US] Wine imports reflect the ongoing premiumisation trend, as the lion’s share of the growth is being driven by more expensive wines, while imports of lower-priced wines continue to fall,” the report noted. Italy remains the largest source of US wine imports, with volume shipments from Italy to the US growing by 4% in 2016, however this growth was driven by sparkling wines (29%) and vermouth (17%). The second biggest importer to the US, France, saw volume imports rise by 9% overall, supported by strong growth of both still bottled wines (10%) and sparkling wines (6%). However imports of bottled wine from most New World producers were down during the period, including Australia (-6%), Chile (-6%), and Argentina (-3%), although in the case of Chile, the 36% rise in bulk wine shipments resulted in a net increase in total volumes (17%). 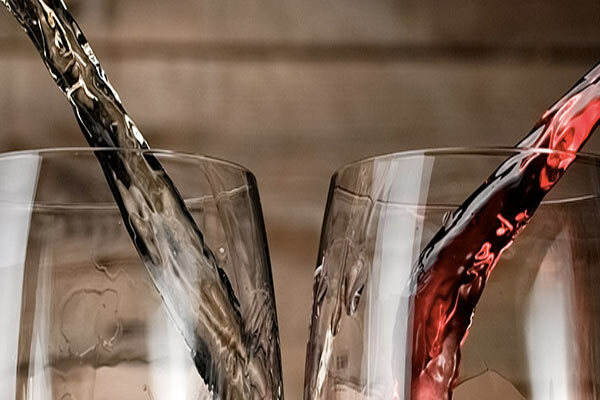 Highlighting the US as one of the “most attractive wine markets in the world”, the report highlighted the slowdown in volume growth in recent years – the result of declining volumes of less profitable wine priced below USD 8/bottle, with values steadily rising. “The most profitable wines, priced above USD 8/bottle have been steadily rising,” it noted. “Wines priced above USD 11/bottle are growing by double-digits. The US market offers scale, growth and attractive margins for those that can effectively penetrate it.